Our rooms bring you a taste of paradise that can make your dream come true! 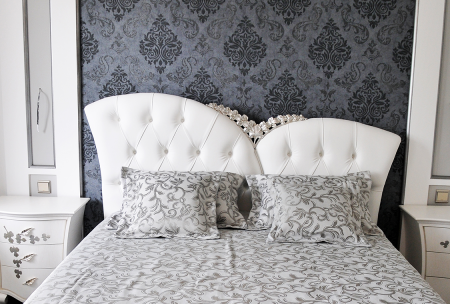 Be an Egyptian prince and always choose an original bedroom that you'll never forget! Savour happiness and freshness in our newly developed and renovated bathrooms! You can always feel at home here! It's where you belong! Just choose and experience a Prague dream – a paradise oasis of relaxation, bliss and harmony! Living in luxury doesn’t just have to be a dream anymore! Let yourself be pampered like an Egyptian prince! Would you welcome an authentic relaxation experience after a demanding day full of meetings or an affectionate stroll around the sights? Don’t you just love harmony? Then you’ve discovered the paradise that you’ve been dreaming about your whole life here in Prague! The artistic interior is designed in a style that you’ll never forget! You will be enthralled by the boutique furniture with its own private bathroom with a shower, a continental bed, dressing gown, slippers, satellite TV, Wi-Fi, a safe, an Apple app so you can get to know Prague well, entering the cave, whirlpools and free parking! Have you ever been to Provence in France? Or have you dreamed about the Côte d’Azur? You’ll never forget the experience you get at our French super-luxury Provence-style room! You don’t have to just dream about Provence anymore, you can experience it with us in the centre of Prague! 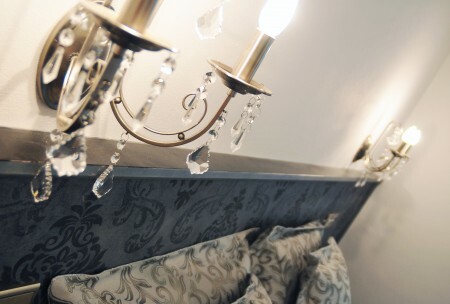 The artistic and boutique interiors will enthuse you along with the private bathrooms with shower, a continental bed, dressing gown, slippers, satellite TV, Wi-Fi, a safe, an Apple app so you can get to know Prague well, entering the cave, whirlpools and free parking! Experience a fairytale like a queen! Live like you’re in a fairytale again or arrange it so that your lovely wife feels like a queen or a princess. 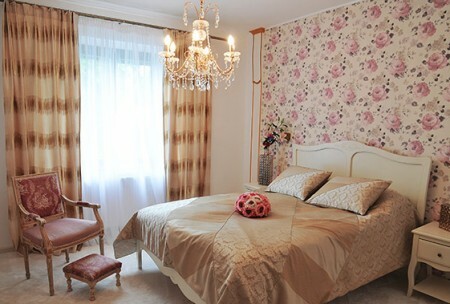 Give her the best that Prague has to offer and let yourselves be pampered by our accommodative staff! Be Alice in Wonderland and discover the seven wonders of the world in Prague! 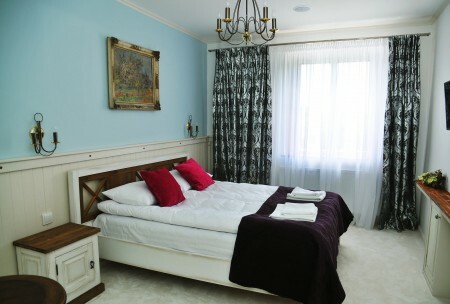 Enjoy the intoxicating interiors with private bathroom with a shower, a continental bed, dressing gown, slippers, satellite TV, Wi-Fi, a safe, an Apple app so that you can get to know Prague well, entering the cave, whirlpools and free parking! Experience Baroque! Let yourself be whisked away to a place unparalleled in Prague! The unique class of the boutique Baroque furniture and the pampering, irresistible luxurious style will become an unforgettable experience for you! Naturally, there is a unique decor and Baroque furniture with private bathroom with a shower, a continental bed, dressing gown, slippers, satellite TV, Wi-Fi, a safe, an Apple app so you can get to know Prague well, entering the cave, whirlpools and free parking! Be a king again! 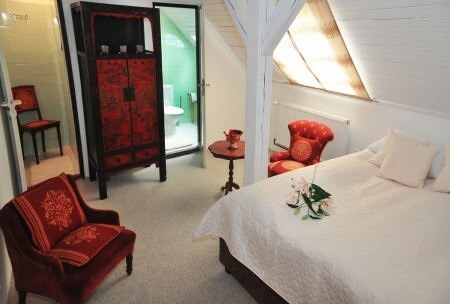 When you stay with us you can feel like a king who owns the whole of Prague! The artistic style of the boutique furniture will take you away into a fairytale and you will feel like a king, savouring luxury to the max! Naturally, there is an unforgettable interior and facilities with a private bathroom with a shower, a continental bed, dressing gown, slippers, satellite TV, Wi-Fi, a safe, an Apple app so that you can get to know Prague well, entering the cave, whirlpools and free parking! Our rooms bring you a taste of paradise that can make your dream come true! Be an Egyptian prince and always choose an original bedroom that you’ll never forget! Savour happiness and freshness in our newly developed and renovated bathrooms! You can always feel at home here! It’s where you belong! Just choose and experience a Prague dream – a paradise oasis of relaxation, bliss and harmony! The artistic interior is designed in a style that you’ll never forget! You will be enthralled by the boutique furniture with its own private bathroom with a shower, a continental bed, dressing gown, slippers, satellite TV, Wi-Fi, a safe, an Apple app so you can get to know Prague well, entering the cave, whirlpools and free parking! Experience care and a quality that no five-star hotel can match! Good everywhere, best at home! And even better at grandma’s place! Do you remember from your childhood getting any better care than what you got from your grandma? Experience care and a quality that no five-star hotel can match! Good everywhere, best at home! And even better at grandma’s place! Loft rooms with a magnificent view, your own bathroom with a shower, a continental bed, dressing gown, slippers, satellite TV, Wi-Fi, a safe, Apple app so you can easily get to know Prague, entering the cave, whirlpools and free parking! Savour an authentic elegant style! The unique interior along with original furniture will enthuse you! You’ll feel like you’re in an elegant fairytale! Savour an authentic elegant style! The unique interior along with original furniture will enthuse you! You’ll feel like you’re in an elegant fairytale! Naturally, there’s artistic furniture and you’re own bathroom with a shower, a continental bed, dressing gown, slippers, satellite TV, Wi-Fi, a safe, an Apple app to help you get to know Prague,entering the cave, whirlpools and free parking!